I’m not sure if this spaghetti Western is intended to be taken seriously or not. A lot of the review used the words “satire,” “pastiche” and “spoof,” which I can’t say I particularly noticed at the time. While obviously not as grim or dark as some entries, it also seems to have a script with a lot more brains, and seems eminently watchable on its own terms. Admittedly, it starts with a page straight out of the Man With No Name trilogy, as a bounty hunter (Hilton) loads up three targets into the coffins he’s brought along for the purpose. However, it then goes on its own way into a plot which is striking in its complexity, in a genre not typically known for that. I’ll try to summarize it as best I can. Mexican bandit Monetero (Roland) steals $300,000 in gold from a train, only to be betrayed by one of his crew who hides the loot. Montero kills the perp but the location of the money is somehow related to a pendant, which is broken in two halves. Much of the first half concerns the back and forth of these halves, between Monetero, the bounty hunter mentioned above, known as “The Stranger”, and Clayton (Byrnes, best known for his work in 77 Sunset Strip), the bank official who was in charge of the transport. The Stranger has been hunting Monetero for a while, but realizes the more notorious the bandit, the bigger the reward. But if he can get his hands on the full $300,000… Meanwhile, Clayton will happily work with whoever gets the bank its money back. Or will he? It’s a blizzard of shifting loyalties, right from the scene where the Stranger guns down Monetero in front of the firing squad that’s supposed to be his executioners, and rides off with the corpse to claim his bounty. Only for Monetero to come back to life, since it was all a ruse to get the thief out of custody. What it does, is set the tone for the rest of the movie, since you’re wise to treat everything the characters say and do with a great deal of suspicion. And not just these three either: there’s also Monetero’s senorita (“O’Hara”, who is actually Stefanie Careddu) and an insurance investigator waiting in the wings, both of whose motives are not above question. This all makes for thoroughly fascinating viewing, told with the typical moral neutrality of the spaghetti genre; even after it’s all over, there’s no real “good” or “bad” guy. The action is sold as well, particular highlights including the train robbery, a chase through a market, and a comedic fist-fight between two of the participants. The main weakness is perhaps the lack of a true leading man. 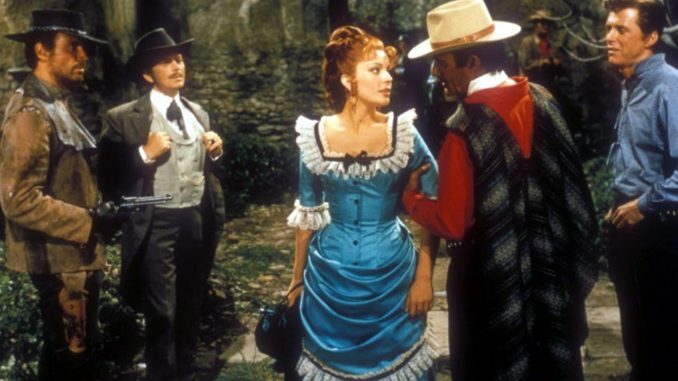 Having three leads dilutes the focus, and none of the actors involved have quite the charisma of, say, a Clint Eastwood or Franco Nero, which would make this into compelling viewing. 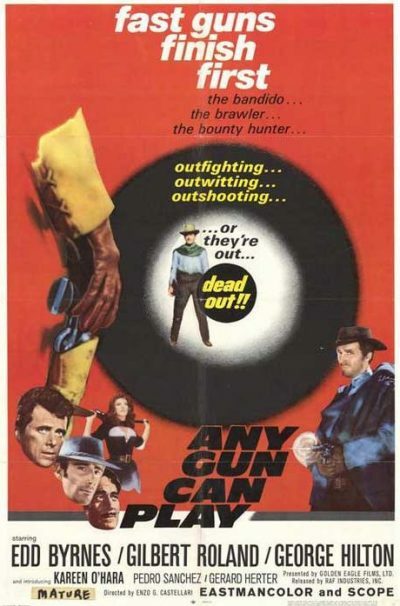 They are, however, good enough to make this an enjoyable and interesting example of the genre, and worth a look, even if you aren’t particularly a fan of Westerns.